Men, it’s time to cook up your best batch of chili… sweet, spicy, or smokey! 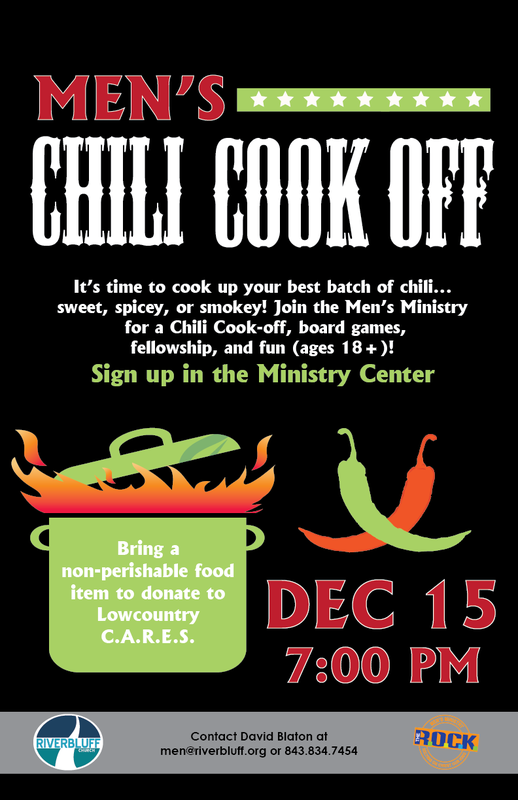 Join the Men’s Ministry for a Chili Cook-Off, board games, football, fellowship, and fun! Age 18+. Please bring a non-perishable food item to donate to Lowcountry C.A.R.E.S. Sign up in the Ministry Center or contact David Blaton at men@riverbluff.org.